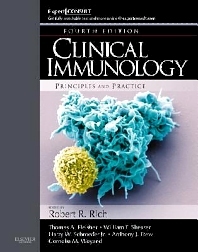 "This is a 'must have' book for any serious student of clinical immunology...I heartily recommend this book." "This is a 'must have' book for any serious student of clinical immunology...Certain highlights stand out for me: the use of line diagrams to supplement histological photographs is excellent- to provide clarity to the features that are being demonstrated...overall , thiw book is very readable and user friendly, despite the size, and I learnt a lot. I heartily recommend this book."